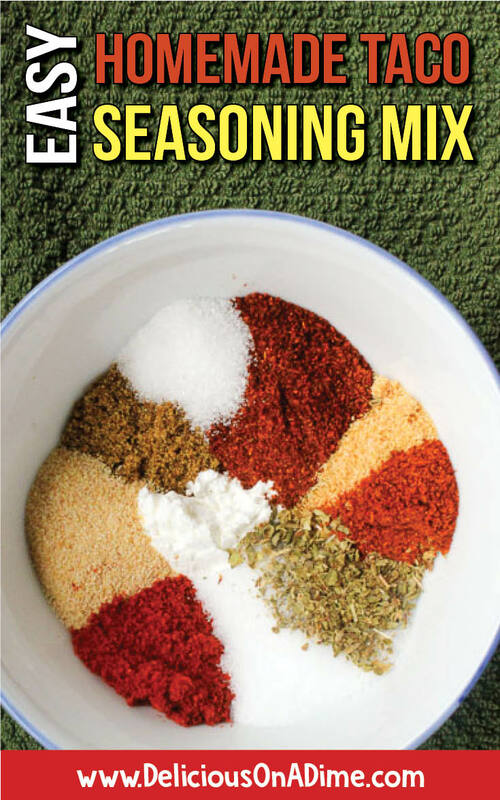 This Homemade Taco Seasoning Mix is so easy to make you can throw it together in two minutes. 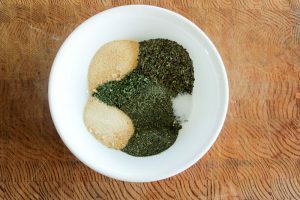 Ditch the store-bought seasoning packet full of strange ingredients and enjoy this healthy, clean eating alternative. 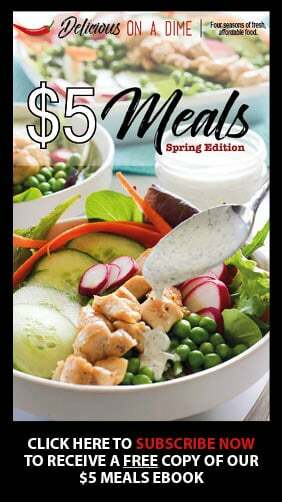 It’s delicious on ground beef, ground turkey, black beans, chicken and more! Mix up a big jar and it’s perfect for families on the go! About a year ago I did a lot of research into the difference between taco seasoning and, say, fajita seasoning. 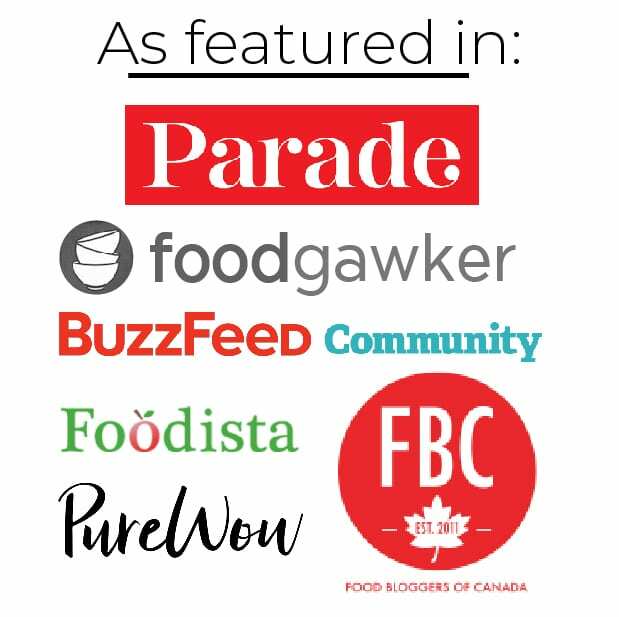 For a long time, all I knew about them was that I would buy little individual packets at the grocery store with the name of whatever dish I wanted to make on them and then I would make it. Easy, right? 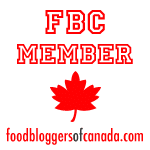 But eventually I started looking at ingredient lists and wanting to make some changes when possible. I also wanted to save money on groceries. I figured that one small way to accomplish both these goals would be to start making our own seasoning mixes. I discovered in my research that taco seasoning and fajita seasoning are actually very similar, but taco seasoning relies more heavily on chili powder and fajita seasoning typically has more cumin. Also, if you have access to some less common ingredients like tomato powder, it’s very at home in taco seasoning (although not necessary), and fajita seasoning sometimes has a citrusy twist, like you would get from lime juice, zest, or even, say, dried coriander. 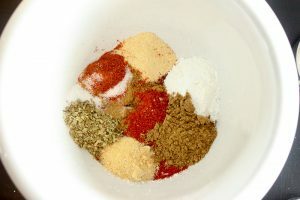 I did a little experimenting and some tweaking and found a taco seasoning mix that I like. I make a big jar of it and store it in a cool, dark cupboard and it keeps really well. Then I sprinkle it on whatever I want! This is a mild mix, but you could definitely make it more spicy if you want to. 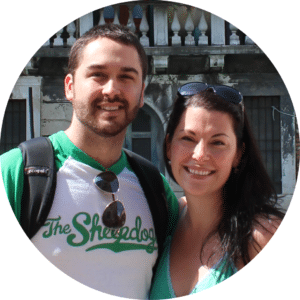 I just have small kids and don’t want to overwhelm them. 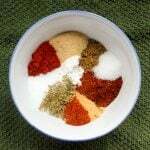 In a small bowl, mix together 1 tablespoon of cornstarch (optional, but nice, if you like to make a bit of sauce with your mix), 2 teaspoons of chili powder, 1 teaspoon of cumin, 1 teaspoon of paprika, 1 teaspoon of garlic powder, 1 teaspoon of onion powder, 1 teaspoon of oregano, 1 teaspoon of salt, 1/2 teaspoon of sugar and 1/4 teaspoon of cayenne pepper (optional but doesn’t make it spicy in such small amounts). I actually like to mix together bigger batches of this and have it on-hand for when I’m making dinner in a rush. Store taco seasoning mix in an airtight container (a mason jar works perfectly for this) in a cool, dark place, like a cupboard away from the stove. It should last a really long time. 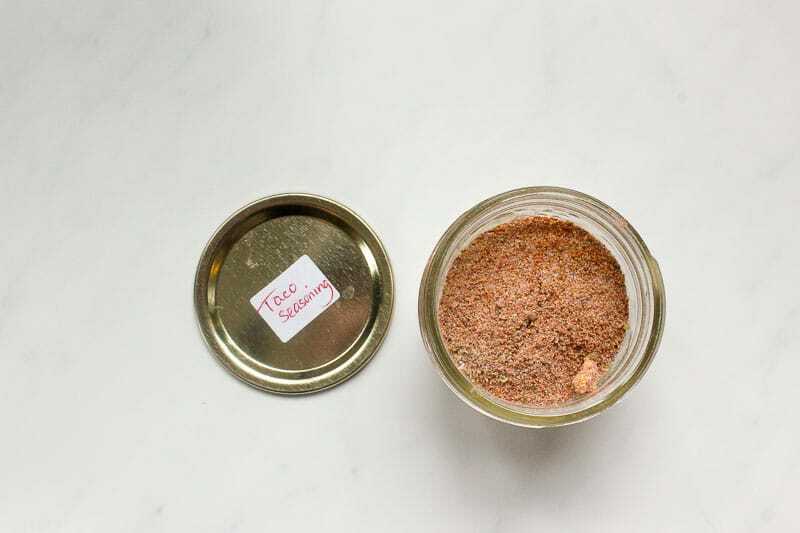 This Homemade Taco Seasoning Mix is so easy to make you can throw it together in two minutes. Ditch the store-bought seasoning packet full of strange ingredients and enjoy this healthy, clean eating alternative. It's delicious on ground beef, ground turkey, black beans, chicken and more! Mix up a big jar and it's perfect for families on the go! Store in an air-tight container in a cool, dark place until ready to use. 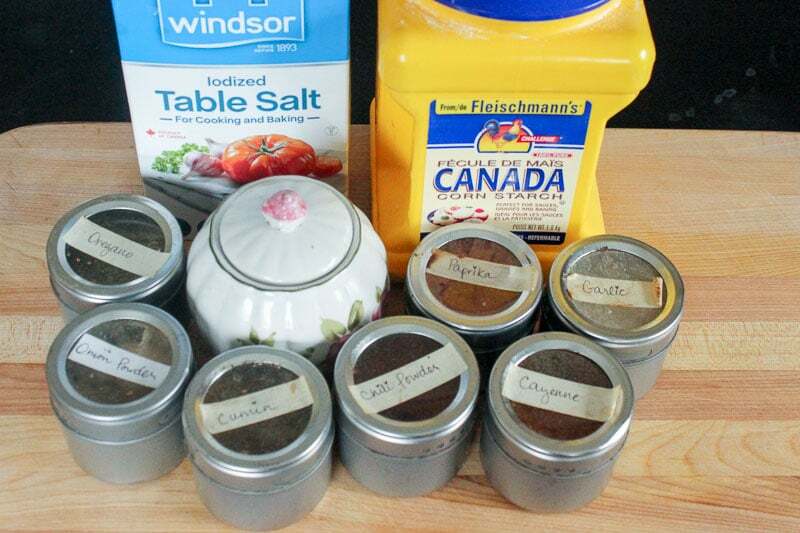 I usually use a tablespoon or two and sprinkle it on whatever I'm cooking (ground beef, black beans, etc). If you want to make a little sauce, add 1/4 cup of water and let it simmer for a few minutes. *I often make larger batches of this and store in in a mason jar in a cool, dark cupboard. I love having it on-hand when I'm in a rush! 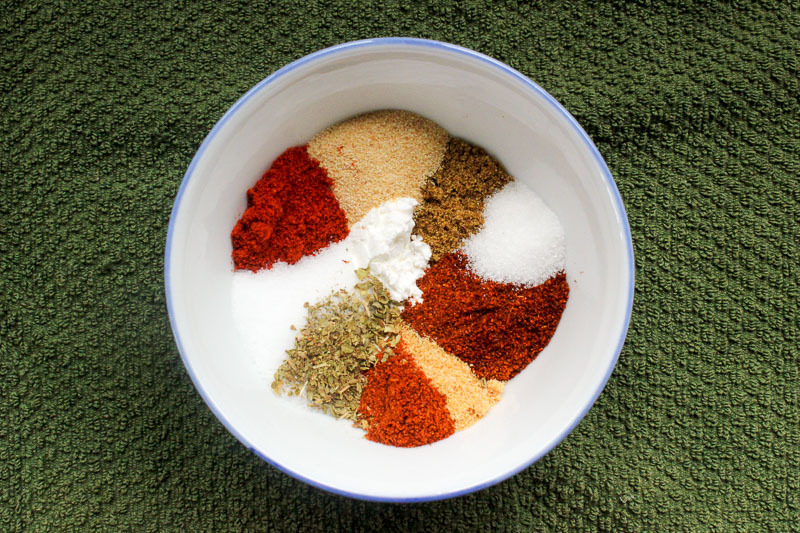 Can I make taco seasoning without cumin? Yes, you could leave the cumin out if you don’t like it. However, it will taste a little different than traditional taco seasoning. Maybe in a way that you like, if you don’t like cumin! Can I make taco seasoning without chili powder? Technically, yes, you can make taco seasoning without chili powder, but you might not find it tastes like what you expect. As I said above, chili powder is a large part of most taco seasoning. If you don’t like it, by all means, leave it out. If you simply don’t have any, you can still leave it out but it may or may not taste like taco seasoning. If you try this, please let me know how it is!